MoreBryan R. Snyder has been a civil trial attorney since 1986. He is recognized by the Martindale Hubbell Attorney Directory as Preeminent in the area of civil litigation, which is the highest possible rating in determining an attorney's legal ability, expertise, integrity, and overall professional experience. He was formerly the managing partner for the law firm of Duke Gerstel Shearer, LLP., a medium sized litigation firm with offices and cases throughout the west coast. While at DGS, Bryan was...Bryan R. Snyder has been a civil trial attorney since 1986. He is recognized by the Martindale Hubbell Attorney Directory as Preeminent in the area of civil litigation, which is the highest possible rating in determining an attorney's legal ability, expertise, integrity, and overall professional experience. He was formerly the managing partner for the law firm of Duke Gerstel Shearer, LLP., a medium sized litigation firm with offices and cases throughout the west coast. While at DGS, Bryan was the lead lawyer on numerous multi million, multi party cases in Southern California, Phoenix, and Tucson, Arizona. Bryan was the best attorney we would have asked for with our issue. We called him anytime & if he wasn't available right then he would call back with in a few hours. 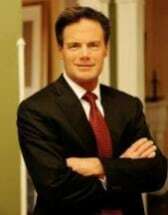 He really help me with my anxiety with our case because is was bogus law suit but we had to have an attorney & he was the only one I would recommend to anyone & everyone. FYI WE WON TOO!!! It is rare to feel great trust and fully supported by a lawyer when engaged in matters that are adversarial in legal proceedings. Mr. Snyder was thorough and diligent in his work and responded quickly to questions.He exercised great care in developing a prosecution strategy and was always realistic in presenting the odds of success, while deftly maximizing the pressure for the greatest return. I give him my highest recommendation.